Hear the sounds of REVENGE, meet the crew! FINALLY – the inexplicably uncommunicative entity known as Varèse Sarabande has gone live with a web page and release date for the Revenge CD! WE HEAR YOU SERIES – Revenge Of The Ninja: Enhanced Edition goes on sale January 20th, but the first street copies will likely be had at an exclusive signing event at the Creature Features store and gallery in Burbank, CA. 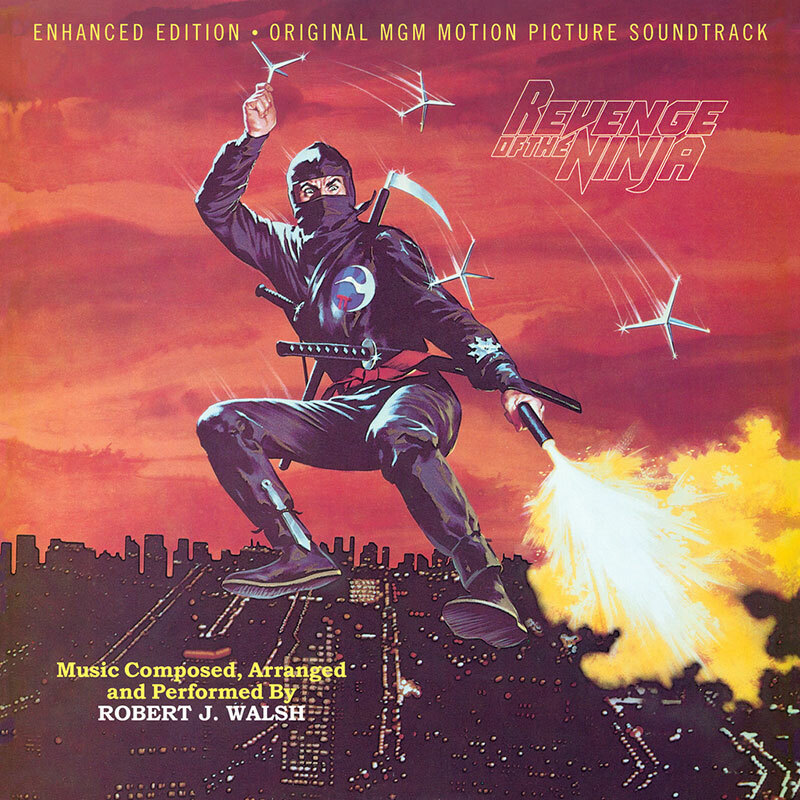 Sunday, January 22nd the composer of ROTN‘s signature pulsating synthesizer score Robert J. Walsh will be joined on a panel/signing by the film’s director Sam Firstenberg, stuntman Steve Lambert and other guests to be announced. They’ll be showing clips, discussing the music and the creative process, and meeting and greeting their loyal fanbase. Don’t even try to be first in line though, as that spot’s been reserved for me. 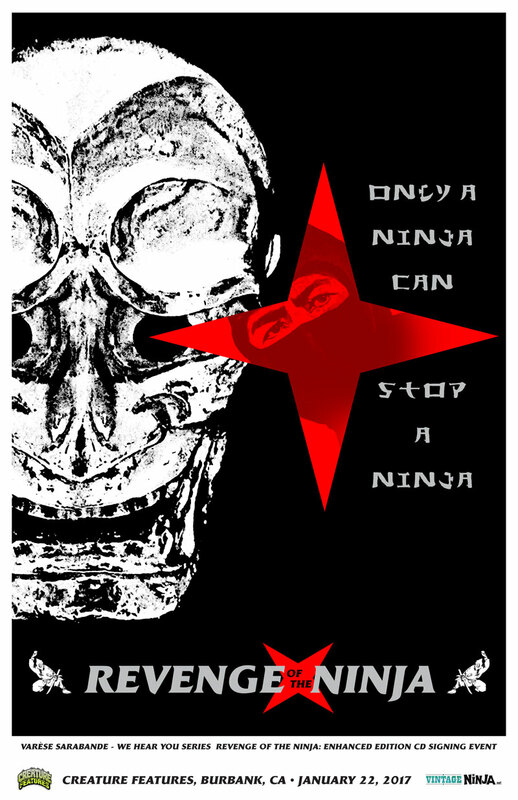 OH… and as for me, as sort of an event co-sponsor I’ll have a modest display of 80’s ninja ephemera from ROTN and the properties it inspired in the gallery, AND Creature Features asked me to design an exclusive limited edition print for the event. 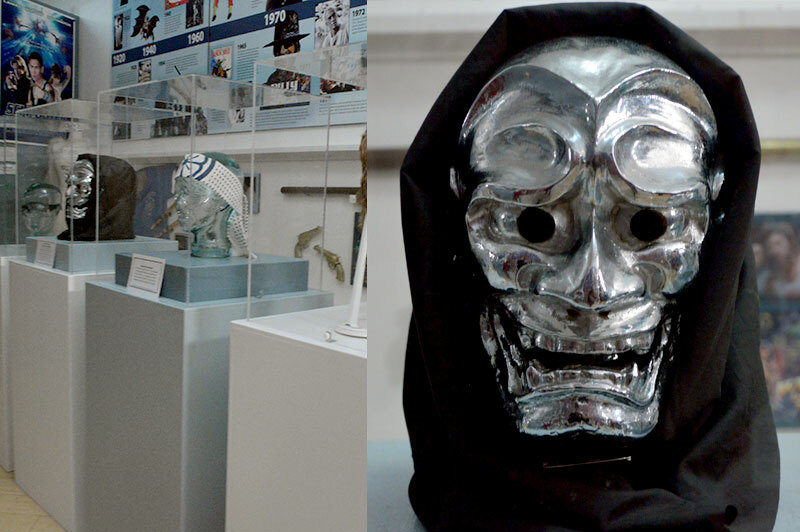 While you’re in the neighborhood, right down the street is the Martial Arts History Museum, wherein you can see the actual screen-worn silver demon mask stunt/fight coordinator Steve Lambert used in the movie, amongst other cool stuff. The museum is always deserving of patronage, so make a day of it! See you there, and don’t forget your wallet! For those who can’t make this event, autographed CD’s are available to pre-order from the Creature Features website.